The rector of a Delaware County retirement home for Philadelphia Archdiocese priests admitted in federal court Thursday that he embezzled more than a half-million dollars from the residence over nearly nine years. Msgr. William A. Dombrow told U.S. District Judge Gerald J. Pappert that he siphoned funds from a private account set up to support Villa St. Joseph in Darby Borough. He pleaded guilty to four counts of wire fraud. Much of the money that flowed into that account came from life insurance payouts of priests who had died while residing there or bequests from the estates of parishioners. The facility also houses priests who have been accused of sexual abuse. Dombrow's theft was discovered last year after the bank that administered the account flagged several suspicious transactions at Harrah's Philadelphia Casino & Racetrack in Chester, and notified the archdiocese. In addition to paying off gambling debts, the monsignor used the money on $1,000 tickets to Philly Pops concerts, elaborate dinners, and at casinos in Aruba; Key West, Fla.; and the Poconos, Assistant U.S. Attorney Michelle Rotella said. He agreed to cooperate with archdiocesan investigators after being confronted with the theft last summer. Dombrow remained rector at the Villa St. Joseph, although the archdiocese restricted his administrative duties to ensure he no longer handled finances. Among the money that Dombrow was accused of embezzling was $14,410 left to Villa St. Joseph by the Rev. Francis P. Rogers, against whom numerous sexual-abuse complaints had been lodged prior to his death in 2005. They were spelled out that year in a Philadelphia grand jury report detailing the history of priest sexual abuse throughout the archdiocese. 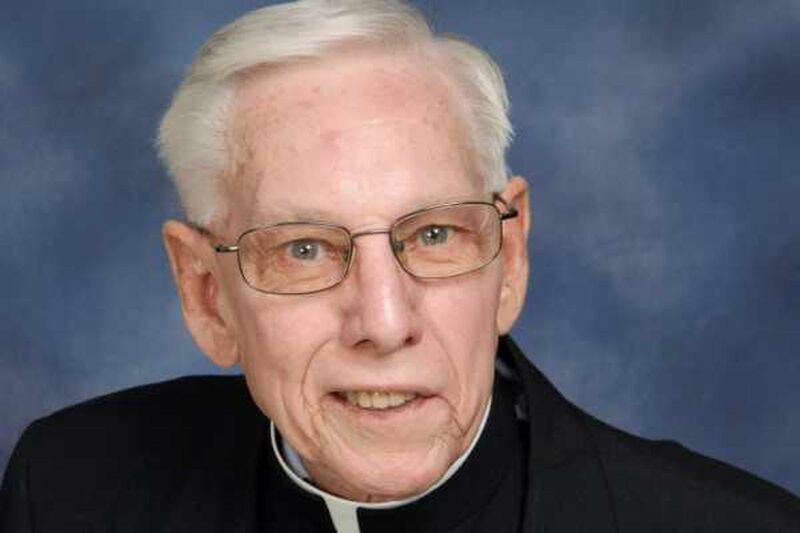 Dombrow, 77, was ordained in 1970 and served as pastor and parochial vicar in several parishes. A recovering alcoholic, he devoted much of his time to helping other priests with their struggles with addiction. He previously led the Archdiocesan Priests' Committee on Alcoholism and a center for those seeking help with addiction treatment. Under federal guidelines, he could face a sentence of about three years at a hearing scheduled for August.